National Science Week is just around the corner from 10 – 18 August 2013. According to the newly released app, the nearest event to me is a party in a pub. Sadly, that’s about as good as it gets for the app – it will show you events near your location. And that’s only when you look at the map view. The events view only appears to narrow things down to a, pretty much useless, State level. 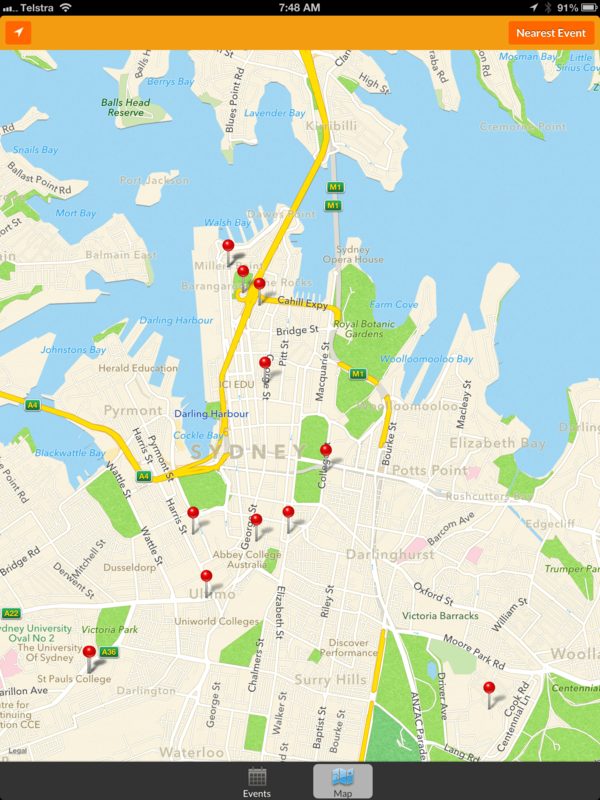 While the map view will show you what’s local, it does that with a bunch of undifferentiated red pins – which means touching each one to find out what’s underneath it. There’s not a lot more to the app. There’s the broad Event listing and the more tightly focused but generic geographic search. Even worse, though, it does not appear to be comprehensive. It doesn’t show what has to be one of the marquee events, and the one I was most interested in, Sleek Geeks at the Town Hall. Really the only good thing I can say about the app is that it’s better than the website which is truly awful to navigate. There are some really wonderful activities and shows as part of National Science Week. It would be just great if it was easier to find them. The app and website don’t make it easy, but it’s worth persevering to get to these events. EDIT: National Science Week Have informed me that Sleek Geeks is not on this year. So I happily retract that criticism of the app. Although, I’d argue that the fact the Website brings the Sleek Geeks event up under the 2013 banner makes my confusion understandable.